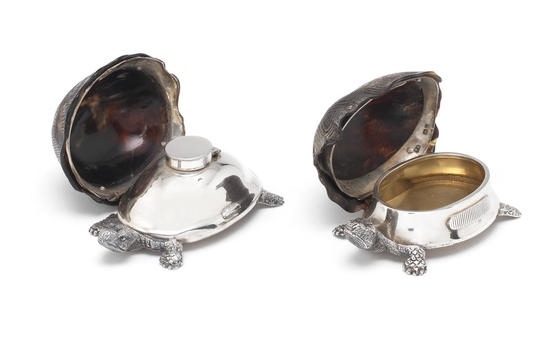 A Victorian silver and tortoiseshell mounted dark and light inkwell and vesta case, by Thomas Johnson, London 1882. Estimate £800 – 1,200 (€1,300 – 1,900). Photo Bonhams. The 9 carat gold bust, which is only three inches high, was made by Asprey and sculpted by the sculptor Oscar Nemon (1906-1985) who was responsible for some of the most famous images of Sir Winston, including the statue in Parliament Square. Estimate £2,000-3,000 (€2,600 – 3,900). Photo Bonhams. LONDON.- A miniature gold bust of Sir Winston Churchill once owned by the famous British actor and Hollywood star, Stewart Granger, is to be sold at Bonhams Gentleman’s Library Sale which takes place in London on 27th and 28th January. It is estimated at £2,000-3,000. The 9 carat gold bust, which is only three inches high, was made by Asprey and sculpted by the sculptor Oscar Nemon (1906-1985) who was responsible for some of the most famous images of Sir Winston, including the statue in Parliament Square. 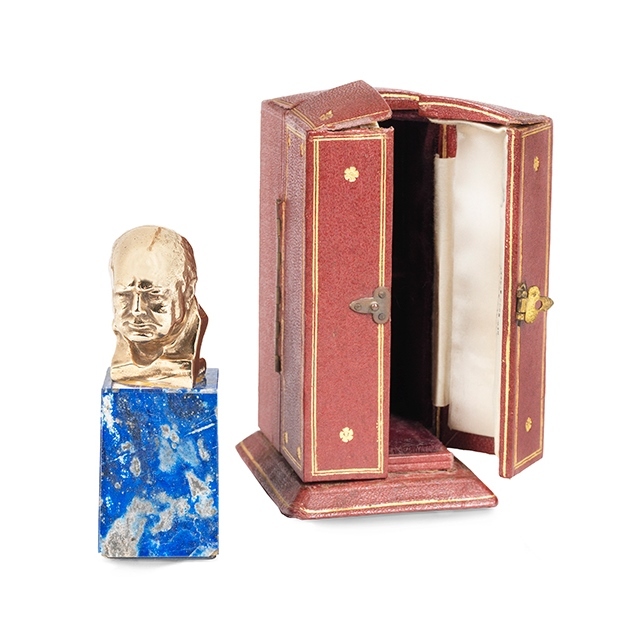 It is mounted on a base of lapis lazuli and comes in an Asprey’s fitted case. Stewart Granger (1913-1993) was one of the most popular film stars of the 1940s and ‘50s. He first found fame in Britain playing romantic leads roles in period melodramas. In the late 1940s he moved to Hollywood where he had immediate success as the heroic adventurer Allan Quartermain in King Solomon’s Mines. Similar swashbuckling parts followed – most famously he played the dual role of the King of Ruritania and his double in The Prisoner of Zenda – but in the 1960s he worked more in Germany where he found a new audience acting in Westerns based on the novels of Karl May. Churchill was one of Sanders’s heroes and the Nemon bust is said to have accompanied the actor on his many travels. 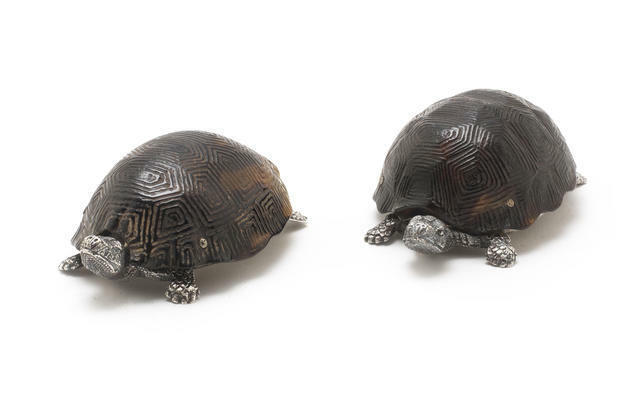 Bonhams Gentleman’s Library Sale is now in its 15th year. 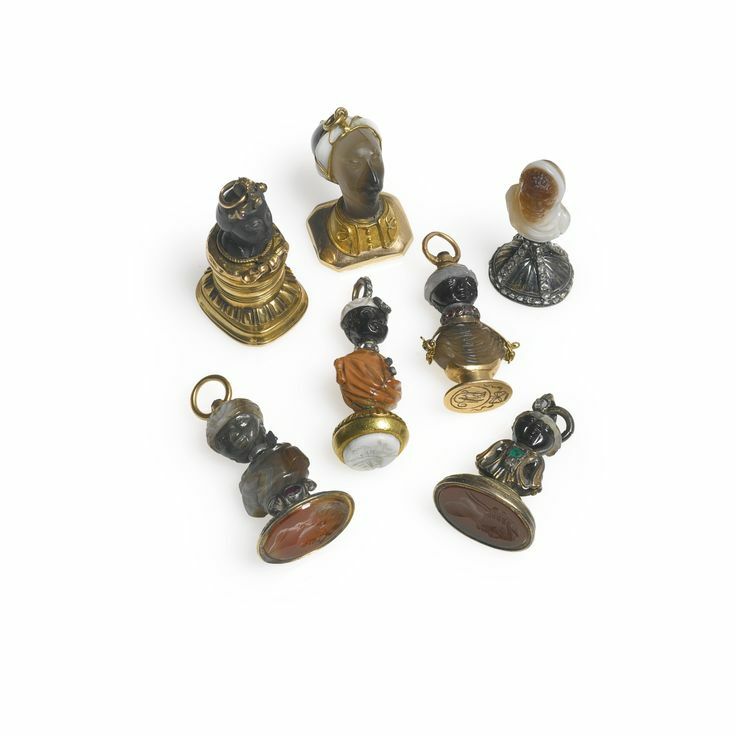 It features all kinds of objects that may have been found in a Victorian or Edwardian Gentleman’s Library from fossils to cigarette boxes, leather armchairs to globes, chess sets to family portraits.